The Tennessee Valley Authority is closing coal plants, and that’s huge. Why the Tennessee Valley Authority is about to retire a massive chunk of its coal-burning plants. Sunset falls on Widows Creek Fossil Plant on March 5, 2010. In May, the Tennessee Valley Authority announced it would retire the last working unit at Widows Creek by this month. The coal industry has entered a rough patch. Its largest customers—electricity producers—are systematically shutting down plants that use the material. Earlier this week, SNL Energy issued a report that boosted the amount of coal-fired electric capacity it estimated would be retired in 2015—from 12.3 gigawatts to 14.6 gigawatts, an increase of nearly 20 percent. The plants being retired this year represent about 5 percent of the total coal-generating capacity in the U.S. But the entity that accounts for the largest portion of this year’s retirements isn’t, say, a utility in California that’s going all in on solar. Rather, it’s the Tennessee Valley Authority—the Depression-era entity that helped bring a large chunk of Appalachia into the modern age by electrifying the region in the 1930s. Coal is essentially being abandoned by its home team. The TVA, which aimed to serve a large region—Alabama, Georgia, Kentucky, Mississippi, North Carolina, Tennessee, Virginia—evolved. First, it built huge hydroelectric plants, so that by the end of World War II it was the largest electricity producer in the U.S. In the 1950s, it built an extensive network of large coal-fired plants, along with transmission lines. Next came nuclear power plants. It also built dams, irrigation projects, and navigation channels. Not surprisingly for an agency centered in coal country, the TVA became a huge customer for the black rock. As recently as 2008, coal accounted for about 60 percent of the TVA’s electricity. But like every other power producer in the region, the TVA has come under market and governmental pressure to burn less coal, and to use more natural gas and renewables. The TVA began to turn away from coal in 2011, primarily because the federal government deemed that its plants were too dirty. That year, the TVA struck a deal with the Environmental Protection Agency and other government bodies to lessen the environmental impact of its power production on the air, land, and water. At the time, the TVA said it would shut down 18 of its 59 coal-fired generating units by the beginning of 2018. That would represent the retirement of about 2,700 megawatts of coal capacity. But in the past four years, TVA’s shift away from coal has been hastened by three large forces: the natural gas boom, which has made a cleaner-burning local fuel cheaper; new regulations on emissions that are making burning coal a more expensive hassle; and the plummeting cost of renewables. In November 2013, the TVA announced it would retire another 3,000 megawatts of capacity spread among eight different units in the next several years: two units with a combined capacity of 1,230 MW at the Paradise Fossil Plant in Drakesboro, Kentucky, Unit 8 at the 63-year-old Widows Creek Fossil Plant in Northeast Alabama (465 MW), and all the units at the Colbert Fossil Plant, representing another 1,184 MW of capacity. Make no mistake. TVA still burns plenty of coal. (Here’s a list of the coal plants still operating.) But the TVA’s portfolio is much more diverse than is was several years ago: 109 hydroelectric units, dozens driven by natural gas, and a rising portfolio of solar. And while the TVA still regards its mission as providing economic assistance to Appalachia, it isn’t dragging its feet. In fact, the agency is moving ahead of schedule. In May, it announced it would retire the last working unit at Widows Creek (Unit 7) by this month. And instead of waiting until 2016 to mothball a large unit at the Colbert plant, it will do so this year. In all, TVA is retiring 1,759 MW of coal capacity this year, accounting for about 12 percent of all U.S. coal retirements. There is much more to come. 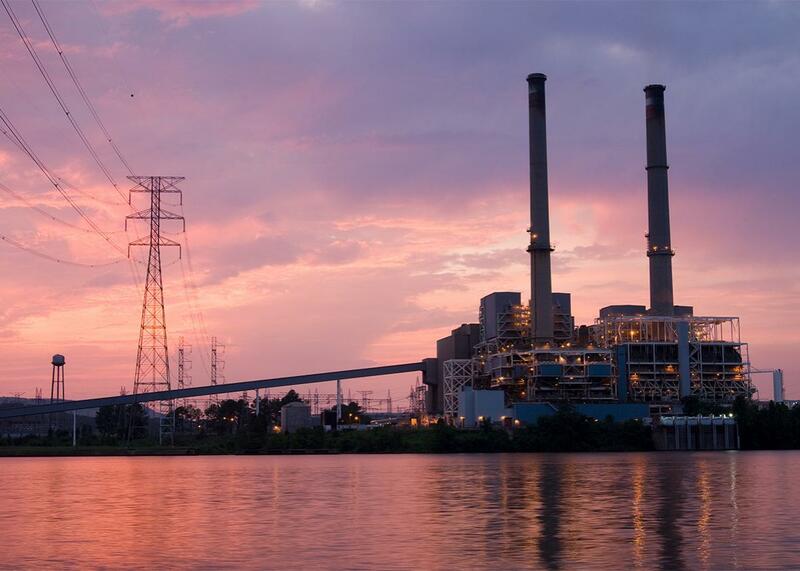 “TVA has the largest amount of pending U.S. coal retirements after American Electric Power Co. Inc. closed over 5,500 MW earlier this year,” SNL reports. SNL has been tracking in minute detail announced and executed coal retirements. (The Sierra Club’s Beyond Coal campaign also has a useful tracker.) And according to SNL’s tally, the TVA plans to close some 4,981 megawatts of coal capacity between 2015 and 2050—that’s four times the amount being closed by the next-largest coal-shuttering utility, Duke Energy (1,225 MW). Politicians in Kentucky and other coal-producing regions are prone to blaming outside forces—Washington bureaucrats, East Coast elites, environmentalists—for the systematic decline in demand for their product. And it is true that there is a well-funded and powerful campaign that is urging American utilities to use less coal. But as the data show, the real problem for coal lies in its own backyard.